July is nearly upon us! Cue the annual 4th of July party planning. From deciding on 4th of July party themes to sending out invitations, there’s a lot that needs to be factored in. Fresh out of ideas? Don’t worry! We have some easy ideas for a 4th of July party. While it’s fairly common, this tried and true dress code is a classic for a reason. Change it up slightly by asking guests to wear only one color, head to toe—this might be a little more challenging than wearing a mix of the color trio. Other fun dress codes to try are stars and stripes, American decades, or symbolic American figures. Another easy theme to pull off is a mandatory headwear party. Guests who don the wackiest and most creative headwear can win a grand prize— or simply get the most recognition from party-goers. The catch? It must be symbolic of America in some way. It’s impossible to go wrong with a classic American party theme. Start off by defining what ‘classic American’ means to you. Does it mean a barbeque cook out with hot dogs, burgers, popcorn and lemonade? Will music be a mix of songs from the Beach Boys and other popular American artists? 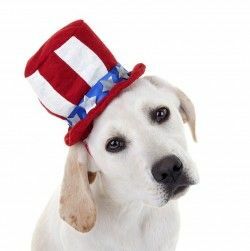 Whatever you decide on, make sure it embodies the American patriotic spirit! Center pieces should be eye-grabbing, but they can also be engaging. What better way to do this than an edible center piece? Try a simple theme of red white and blue with candy, or fruit and vegetables for a healthier alternative. Your party isn’t complete without a game! Make your decorations more interactive by making a game out of them. 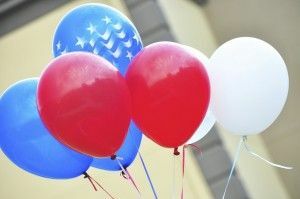 Fill red, white, and blue balloons with notes either announcing a ‘winner’ or a ‘try again’ card. Whoever pops a ‘winner’ balloon wins a prize. A quick tip— do this towards the end of the party so you still have decorations! If balloons aren’t your thing, a good ol’ game of tug of war is always a great way to get a party going! Entertain with a photo booth! Whether you’re hosting a large party in your backyard, or you’re having a company-wide celebration, a photo booth is a great way to keep your guests entertained. You can also customize photos with borders, or logos (for corporate events), and can choose from a variety of patriotic green screen backgrounds and digital props. 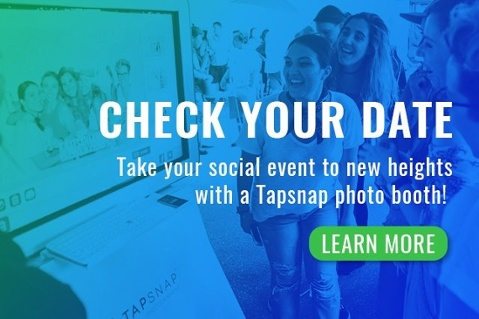 Create further buzz around your event with a hashtag. Here are some quick tips on how to create a hashtag for an event. From dress codes to photo booth rentals, these are only a few ideas for a 4th of July party to get you started. The possibilities are endless when it comes to 4th of July party planning as there’s plenty of opportunity to get creative. However, if you’re planning a large party, and have a tight budget, take a look at these simple tips to stick to your event budget. Happy 4th of July party planning!